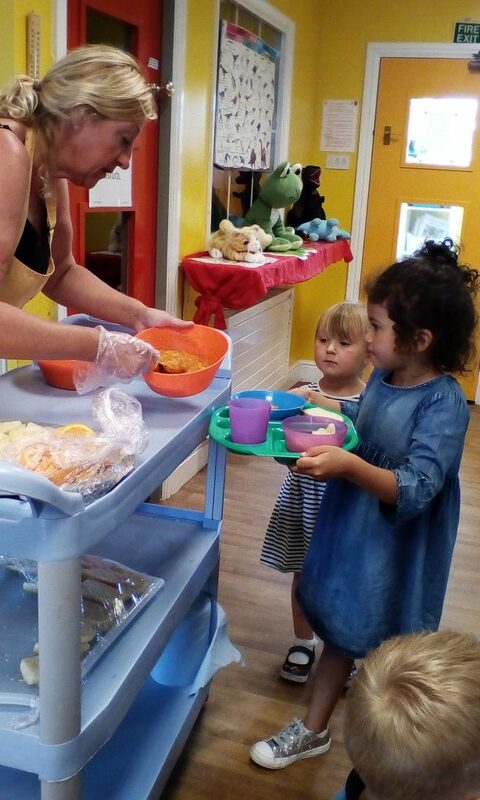 The Big Bumbles have been using dinner trays at lunchtime to help them prepare for school where most of them will receive school dinners and have to access a different system. They are concentrating very hard on balancing their tray so no food spills. Building such independence will support them in their transition to school, giving them extra confidence on their visits.